TV presenter, charity campaigner, recent Strictly evictee and author Katie discusses her new book ‘Confidence – The Journal’ with Jo and Simon. 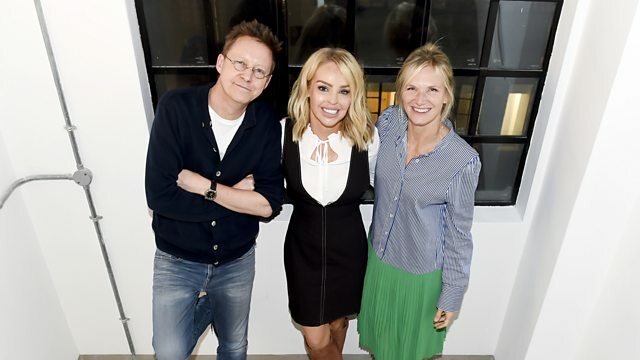 Recent Strictly evictee, TV presenter, inspirational speaker, charity campaigner and author Katie discusses her new book ‘Confidence – The Journal’ with Jo and Simon. In 2008 she survived an attack and her moving, BAFTA-nominated Channel 4 documentary Katie: My Beautiful Face was watched by 3.5 million viewers and shown in more than 15 countries. Katie founded her own charity, The Katie Piper Foundation, to help people living with burns and scars and she has received numerous awards and accolades for her charity work. Katie is the author of six other best-selling books: Beautiful, Beautiful Ever After, Things Get Better, Start Your Day with Katie, Confidence: The Secret, and From Mother to Daughter published in March 2018. Top tips and tricks for making all our lives easier.